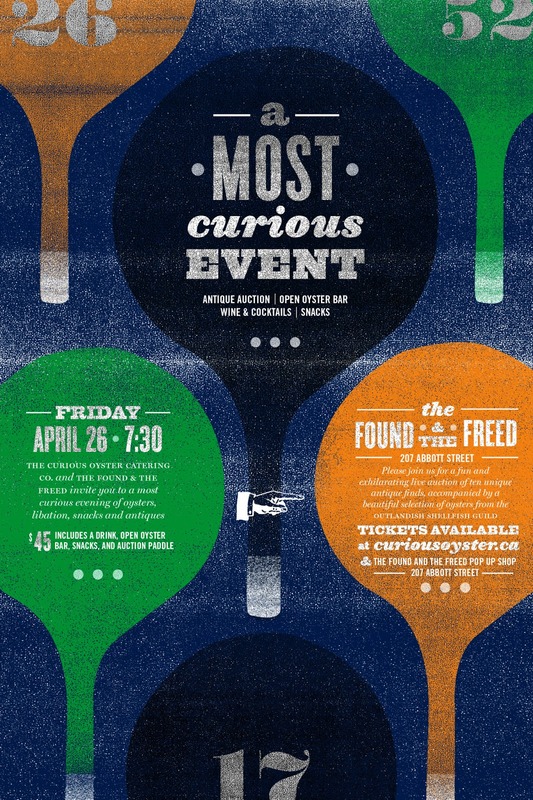 Poster I made for Curious Oyster's upcoming event at The Found & The Freed. 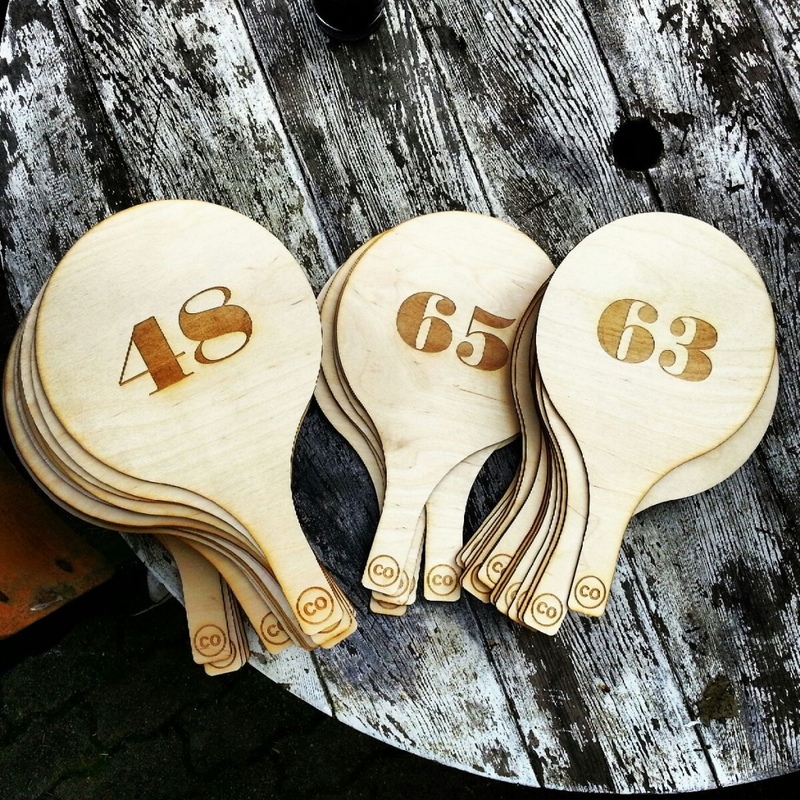 There'll be oysters and delicious snacks and then an auction for vintage goods! And if that isn't enough to get you in the door, welllll, Richard recreated the paddle that I made on the poster that you get to take home! So cool! I am going for that reason alone haha. Also, Ginger and I have also just completed the website for Curious Oyster and you should take a look around if you've got some time. I just saw this now, but Ginger did a really good write up about it. I'm blushing and getting a rush of heartwarming feelings! She articulated the process so well and it just reminded me again of how great it was to work with her and how proud I am of what we done. If you didn't already know, Ginger rules.